Just like people, trees also have an expiration date. A tree is a living organism and at some point it will either die or structurally fail. 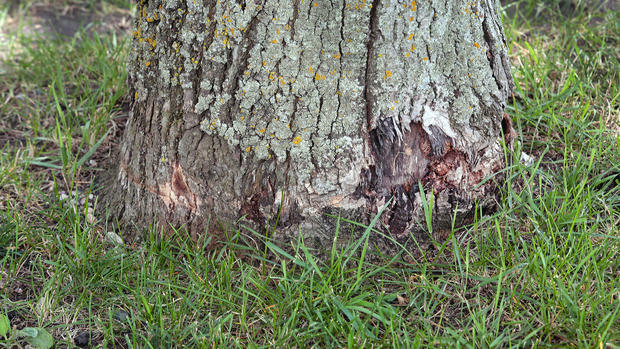 Knowing how to spot the signs of a dead or dying tree, or a tree that is compromised structurally is important for the safety of your home, and more importantly your family. Trees add to the beauty of one’s property, however understanding which trees pose a risk is important to protecting your investment and staying safe. Property owners should always consult with a licensed Jacksonville Arborist who is trained to inspect, and assess any disease or weaknesses in trees. They will also consult you on the best course of action to take to either help save the tree or remove the tree due to it being a hazard. When a certified arborist examines your trees they try to identify defects and/or conditions that can lead to structural failure. They will also assess the health of the tree for disease or rot. Below are some of the more common things an arborist will look for. Depending on the situation there may be options available to you where the tree can be saved or reinforced to mitigate the danger of structural failure. Below are a few options that a licensed arborist may implement to protect your trees. Cable trees that may have cracks to better reinforce them. What is the likelihood of structural failure? What is the likelihood of the tree failing and falling on a structure or people? What are the consequences of the impact if the tree fails? These standards will help the arborist determine the best course of action to take to keep your family and your home safe. When hiring a tree service company in Jacksonville, you should always hire one that is a certified arborist. An arborist is trained and specializes in identifying trees that have been compromised due to disease or are structurally deficient. They also know how to properly prune or trim trees so maintain optimal health and structural integrity. If you are in need of tree service or feel your trees are not healthy, you should contact Custom Tree Surgeons today. We are an ISA Certified Arborist, and we specialize in tree trimming, tree removal, emergency tree service, stump grinding and tree inspections.